The town of LAUR was previously a small barrio of Bongabon, Nueva Ecija. Bongabon was formerly known as Santor, the first municipality which was founded in the province of Nueva Ecija in the year 1636 by the Spanish Augustinian Missionaries. It was identified as Barrio San Esteban whose name was derived in honor of its patron saint, St. Stephen, the King of Hungary. Headed by the late Don Pedro Panginen and Don Nemesio Peralta, former Municipal Councilor and Municipal Treasurer of Bongabon respectively, together with the help of some of the prominent individuals such as General Manuel Tinio and with other settlers namely Messrs. Mariano Roxas, Juan Valdez, Mariano Corpuz, Andres Palara, Pantaleon Agcaoile and Joaquin Domingo, on January 1, 1917, pursuant to Executive Order No. 98 dated December 23, 1916 issued by the Honorable Francis Burton Harrison, the then Governor General of the Philippine Islands, the small barrio of San Esteban became a municipality. The name LAUR was derived in honor of the wife of the late General Manuel Tinio – Doña LAUREANA Tinio. Immigrants of the community were mostly Tagalog and Ilocanos who came from the provinces of Ilocos Region and Pangasinan with some Capampangans from the provinces of Pampanga and Tarlac. Don Pedro Panginen was the first appointed Municipal President of the town who served upon its creation from January 10, 1917 to October 15, 1919. He was succeeded by the following duly elected Municipal Presidents such as Don Nemesio Peralta (October 15, 1919 – October 15, 1922), Don Teodoro Manglicmot (October 16, 1922 – October 15, 1925), Don Timoteo de Guzman (October 16, 1925 – October 15, 1928), Don Pedro Aquino (October 16, 1928 to October 15, 1931) and Don Florentino Pascua (October 16, 1931 – October 15, 1934). In 1934, Don Timoteo De Guzman was re-elected as Municipal President and served the town again from October 16 1934 – December 31, 1937. January 1, 1938 through Executive Order, the position of Municipal Presidents was changed to Municipal Mayor. Hon. Tomas Arenas was the first elected Municipal Mayor of the town and served the people of Laur from January 1, 1938 to November 19, 1940. Hon. Ladislao Aquino was appointed and replaced Mayor Arenas from November 20, 1940 – December 31, 1940. Hon. Felix Petines was the next duly elected Municipal Mayor of the town who served only from January 01, 1941 – December 28, 1941 because he was kidnapped by unidentified individuals on December 29, 1941 while he was in Cabanatuan City and at this point in time, no one knows what happened to him and his whereabouts. There were no municipal government officials in the town from December 29, 1941 to February 21, 1945 because of unexpected arrival of the Japanese Imperial Army wherein majority of the people of Laur were evacuated to the Sierra Madre Mountains. Residents of Laur encountered the Japanese troops however Municipal Councilor Regino Calara was shot dead by the Japanese Imperial Army at Salapungan (Junction of Laur and Bongabon). Don Pedro Aquino was the only one who accepted the position of the Municipal Mayor of Laur on February 22, 1945 under the Japanese occupation but on the same year, Mayor Aquino was arrested by the Japanese soldiers for unknown reasons and was kept captured and imprisoned at the municipal hall. Latter part of the year 1945, Hon. Jose Villavisa was elected Municipal Mayor and served the people of Laur from January 01, 1946 – December 31, 1951. On the eve of May 1, 1950 during his incumbency, the old municipal hall located at the west side of the town was destroyed by fire for unidentified causes wherein not even a piece of document was saved. The new municipal hall was constructed to a new site wherein the Old Municipal Hall is now located. Mayor Villavisa was followed by the succeeding duly elected local chief executives such as Hon. Jorge M. Padilla (January 01, 1952 – December 31, 1955), Hon. Manuel T. Mesina (January 01, 1956 – December 31, 1963), Hon. Gabriel C. Daus, Sr. (January 01, 1964 – December 31, 1971) and Hon. Nicolas M. Abad (January 01, 1972 – December 12, 1979). Under the Marcos regime, Hon. 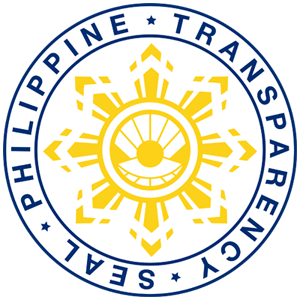 Nicolas M. Abad was replaced by Hon. Gabriel C. Daus, Sr. as Officer-In-Charge in the Office of the Municipal Mayor through an Executive Order on December 13, 1979 until the time that Hon. Gabriel C. Daus, Sr. was re-elected unopposed as Municipal Mayor together with all of his team, the Municipal Vice Mayor and the Eight (8) Municipal Councilors in the 1980 Elections and served the municipality until February 25, 1986. 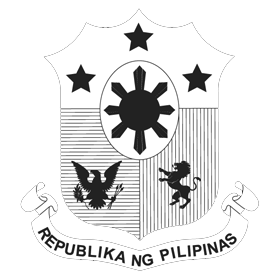 After the triumph of “People Power” or the so-called EDSA Revolution that ends the dictatorship of the then President Ferdinand Edralin Marcos on February 25, 1986, Her Excellency President Corazon Cojuanco – Aquino through Presidential Proclamation declared all Local Government Officials in all levels in the Local Government Units of the country vacant. Hon. Antonio P. Tolentino acquired the vacant position and was appointed Officer-In-Charge in the Office of the Municipal Mayor effective May 01, 1986 through the recommendation of Hon. Sedfrey A. Ordoñez, the then Solicitor General of the country. Mayor Tolentino was designated to be the Municipal Mayor of Laur until the time that he was duly elected on the May 1988 Elections. During the Aquino’s Administration, through the efforts of Mayor Antonio P. Tolentino and the Sangguniang Bayan of Laur, Nueva Ecija with the great help of Hon. Sedfrey A. Ordoñez, the then Secretary of the Department of Justice, major developments and accomplishments have been placed in the community. Among these are the Implementation of the Salary Standardization Law for the Municipal Official and Employees of the Local Government Unit, Concreting of the Tablang – Gabaldon National Highways where the New Municipal Hall is now situated. Municipal Streets and Barangay Roads were concretized as well because Mayor Tolentino is aware that a developed community must be accessible to the travelers for tourism and economic growth. Construction of Bridges at Sagana, Bilic, Carimot, San Juan I, San Juan 2, San Juan 3 and funding for the Construction of All-Weather Bato Ferry Bridge, the Laur River Flood Control System were also placed for public’s safety. Mayor Tolentino also gave importance to education that is why he paved the way in building the establishments of the Jorge M. Padilla Memorial National High School at Barrio Site, Sagana, Laur, Nueva Ecija and the Hilario E. Hermosa Memorial National High School at Siclong, Laur, Nueva Ecija. On the latter part of his leadership, he still have major projects such as the Renovation of the Old Municipal Hall Building and Plaza, Construction and Improvements of School Buildings, Construction of Municipal Library and Information Center and the Resettlement of Barangay San Antonio (formerly Pangarulong) to a new site besides Sitio Villa, Barangay Antipolo, Bongabon, Nueva Ecija. The said barangay was resettled due to unexpected effect of the earthquake that hit the country on July 16, 1990 wherein the place was sunken by about eight (8) feet more or less. Aside from being the Officer-In-Charge for two (2) years, Hon. Antonio P. Tolentino has served the municipality and the people of Laur for three (3) consecutive terms (May 01, 1986 – June 30, 1998). After Mayor Tolentino completed his term, the next Municipal Mayor who won the May 1998 Elections was Hon. Blas A. Canlas. During the term of Mayor Canlas together with the Sangguniang Bayan, major accomplishments have also been made such as Construction of Bato Ferry All-Weather Bridge, Concreting of Bato Ferry – San Fernando Provincial Roads, Municipal and Barangay Roads and the establishment of the Ricardo D. Canlas Agricultural School at Poblacion III, Laur, Nueva Ecija. The Construction of the Laur Potable Water System I was implemented and constructed by the municipal government through financing scheme wherein Bank Loan was granted by the Development Bank of the Philippines. Presently, the system is functioning completely and serving the residents of four (4) Poblacion barangays and the Barangays of San Juan and Pinagbayanan with an expansion program for the Construction of Laur Potable Water System II at Barangay San Vicente. Mayor Canlas was elected President of the League of Municipalities of the Philippines (LMP) Nueva Ecija Chapter concurrently Chairman of Region III and served the league from July 26, 2004 to June 30, 2007. Mayor Canlas also served the town for three (3) consecutive terms (July 01, 1998 – June 30, 2007). The municipality is presently headed by Hon. Alvaro G. Daus, the youngest son of the Former Mayor Gabriel C. Daus, Sr. Mayor Alvaro G. Daus instigated the completion of the Laur Potable Water System II that will serve the residents of Barangays San Felipe, San Vicente, Siclong, San Fernando and San Antonio. He also led the Construction of New Municipal Hall Building at National Highway, Poblacion III Laur, Nueva Ecija on September 7, 2009. Year 2010, Mayor Daus’ projects were Construction of Perimeter Fence at the Municipal Public Market Compound, Construction of Water Supply System at the New Municipal Hall Building and the Construction of Flagpole, Lay-outing of Paver Bricks, Landscape and Improvement at the New Municipal Hall Vicinity. His first project in the year 2011 was the Embankment of Site & Road Right-of-Way for the Relocation of the New Municipal Abattoir Building of Barangay San Josef; followed by Construction of Waiting Shed in front and Plant Boxes at both sides of New Municipal Hall Building together with its Drainage Canal. The Construction of New Municipal Abattoir at Barangay San Josef, Laur, Nueva Ecija and the Extension of Rural Health Center Building were his last projects in the year. Just last year, his first accomplished program was the Concrete Paving of Municipal Public Market Ground and was followed by the Construction of Slope Protection Work w/ Gabion Wire at Barangay Poblacion IV and on the latter part of the year was the Construction of Flood Control Dike with Gabion Wire at Barangay San Juan and Barangay San Vicente. Procurement of Ambulance, Garbage Trucks, Payloader and Dump Trucks is also included in the priority program and projects of Mayor Daus. Copyright © 2015. Municipality of Laur, Province of Nueva Ecija. All rights reserved.